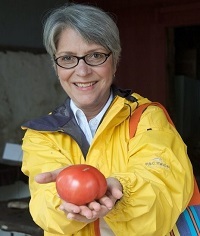 Marydale DeBor founded Fresh Advantage LLC after 25 years of experience in health care administration and philanthropy. Throughout her career, she has been dedicated to improve the health status of individuals adversely affected by poverty and lack of access to care, food and shelter. While a senior executive at a community hospital, she recognized the urgent need to revolutionize traditional institutional food service and bring considerations of nutritional status and food security into the paradigm of medical practice. Her goal is to help institutional clients to provide nutritious, wholesome, and culturally appropriate meals to those they serve. Her advocacy work recently included leading a coalition of grassroots organizations to file public comments in the IRS rulemaking process relevant to the community health needs assessment regulatory process. The effort was successful and resulted in the inclusion, in the Final IRS Rule, of “access to adequate nutrition” and other social determinants of disease in the definition of significant health needs that can be considered by nonprofit hospitals in the development of community health needs assessments and implementation plans. Non-Members: Register for a free guest account or a paid account by clicking on the orange button below, please come back to this page to view the webinar. Don’t see the webinar below? You’re probably not logged in. Non-members: Register for a free guest account or a paid account by clicking here, please come back to this page to view the webinar webinar.